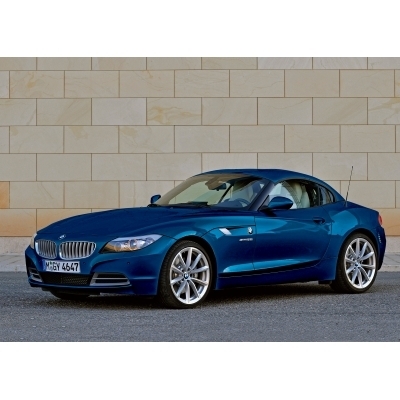 Say what you want about the last generation BMW Z4’s design, it’s all in the past now. Polarizing to the very end, the outgoing Z4 was lauded by some for its eccentric design cues, loathed by others. The same went for its hardhat wearing brother, the Z4 coupe. This year however, the two join forces, as the Z4 roadster gains a folding hardtop roof, sending the Z4 coupe of old off into the sunset. That’s right, there will be no dedicated coupe this time around – BMW is of the mindset that the new hardtop roadster should have little trouble filling both roles. Not just the exterior has been refreshed, however. The interior has been completely redesigned, with improved ergonomics and a more (though still not much) storage. Opting for navigation gains you a positively massive folding screen that fits neatly on top of the Z4’s dash, and the new iDrive system won’t provoke any emotional breakdowns unlike the last generation. 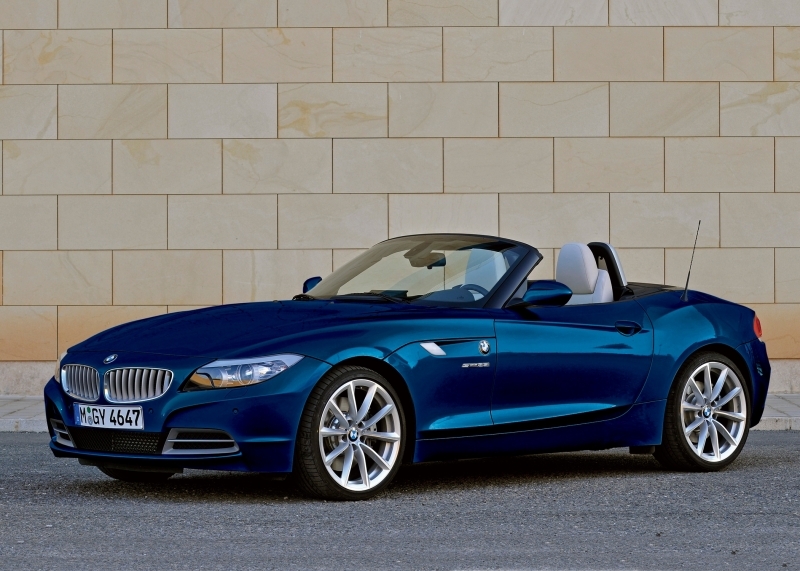 Aside from an increase in overall size and mass, this new Z4 is an improvement in every way. The sleek new exterior of the Z4 gets noticed, taking all of the good lines from the previous model and leaving the, ahem, less desirable styling cues in the past. The sDrive dual-clutch gearbox provides seamless power shifts when you’re pushing hard, yet remains docile and smooth around town. The new hardtop deploys in a brief 20 seconds. The bottom line. While the initial price of $51,560 isn’t brutal, if you haven’t taken a glance at a BMW options list lately it’s highly advised you be seated when the time comes to do so. Tick a few boxes and the final price can easily rise by $12k. The hardtop roof – along with a longer and wider chassis – have evolved the Z4 into a slightly fatter, slightly lazier creature. Twin-turbo torque is an awesome thing, providing tons of linear power throughout essentially the entire rev band, and that translates to acceleration on demand whenever you want it. BMW’s dual-clutch transmission provides near seamless power delivery, banging through gears with rampant dexterity and a burbling hint of turbo backpressure. Steering is spot-on with accuracy typical of Bavaria’s iconic brand, but the level of feedback from the road has been dialed back a notch. We’re pointing the finger at you, run-flat tires. Still, it’s basically a point and shoot car with direct, predictable handling characteristics thanks to a near perfect 50/50 weight balance and a surprisingly quiet, comfortable ride for a drop-top roadster. But when you put the pedal to the carpet, it will still eat up 0-60 mph in about five seconds. We wouldn’t have it any other way. The Z4 sDrive35i gets is power from BMW’s twin-turbo 3.0-liter inline six-cylinder engine, which puts out 300 horsepower and 300 lb-ft of torque. A seven-speed dual-clutch gearbox flies through the gears, sending power to the rear wheels. A standard folding hardtop crams its way into the trunk of the Z4 for the first time, and is quick enough to enable the car to transform from coupe to roadster in the span of just 20 seconds. Dynamic cruise control comes standard, as do xenon headlamps and a tire pressure monitoring system, all of which are typically found on options lists. An 8.8-inch navigation screen folds up out of the dash, and is controlled by BMW’s new iDrive system. Best of all, this time around iDrive menus and controls actually seem to have been designed with some amount of logic. The usual audio options for iPod connectivity and high-output speakers with which to annoy your neighbors and fellow motorists are naturally on offer. While a twin-turbo setup is more efficient than a similarly powered naturally aspirated engine, it goes without saying that to make power, fuel must be burned. 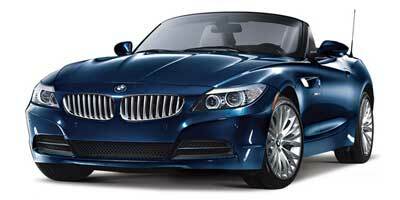 In the Z4 sDrive35i, this translates to fuel economy figures of 17 mpg city, 24 mpg highway. With an MSRP of $51,650, a few extra bucks in the tank probably won’t be of too much concern. Despite a full redesign, the interior of the Z4 still maintains a distinct roadster feel with driver-oriented gauges and control dials. The Ivory White Nappa leather gives the interior a very clean, polished look, but be forewarned that it’s an expensive option. The same can be said of the navigation system. Overall the shape of the new Z4 hasn’t changed too dramatically, though it has traded a few of its questionable curves for some more angular styling. The most obvious addition to its wardrobe is the folding hardtop roof. Those looking to upgrade wheel size will be pleased to know that both 18- and 19-inch wheels are available. 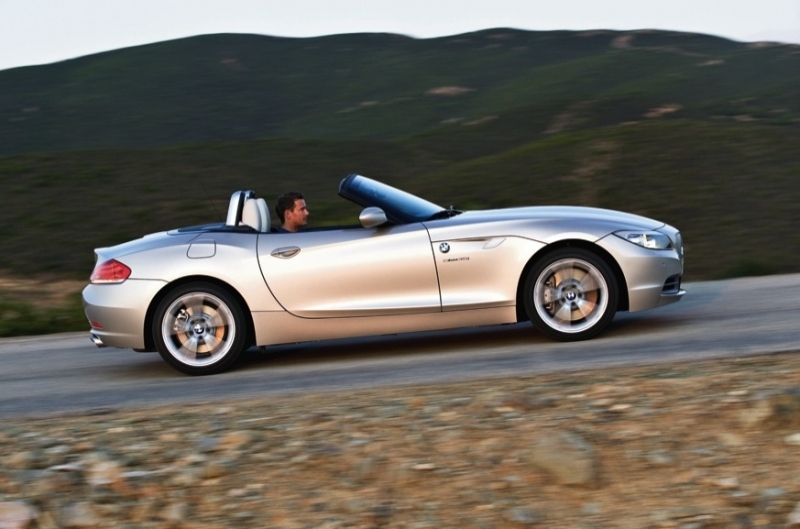 With an MSRP of $51,650, all the Z4’s luxuries come at a price. As high as that number may appear, it’s still slightly less than the Z4 M Convertible it replaces. Competitors include the $50,950 Mercedes-Benz SLK350, $56,700 Porsche Boxster S, $47,950 Audi TTS and, to a lesser extent, the $47,250 Lotus Elise. Figuratively speaking, the Z4 has grown up a bit. Now that it’s both a roadster and a coupe, the interior, the styling and the handling have all been forced to mature. For those looking for a sleek, fast, luxurious and good looking cruiser, that’s all good news. However, the extra pounds the car has put on have made it a little less playful, so while the twin-turbo engine might suggest near-Z4 M performance, in reality those looking for a rabid drop-top monster may be better off picking up last year’s car. In red, of course.